IMPORTANT: We strongly recommend creating a backup of your server prior to any major changes or upgrades. You will be redirected to the AWS Cloud Console. Log in if needed. Note the instance ID of the server. 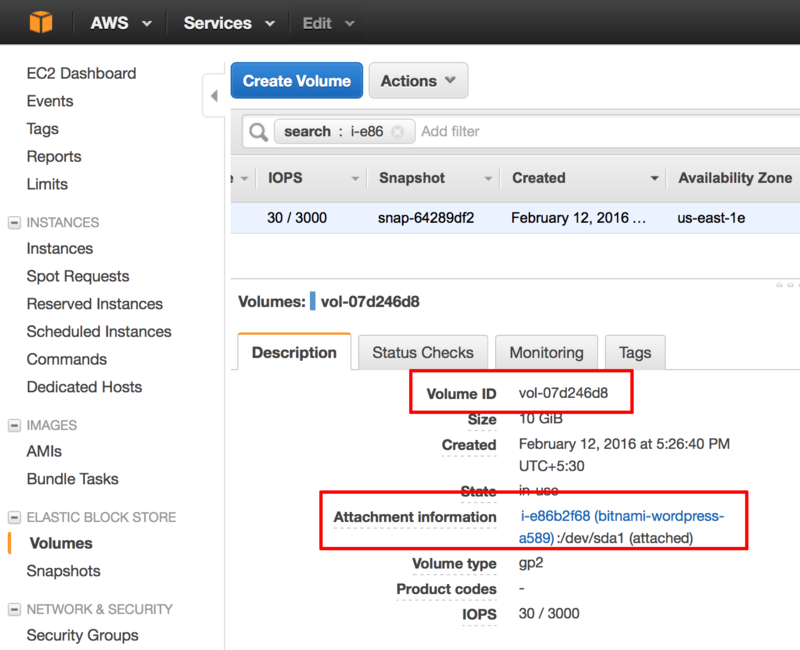 In the left navigation bar, select the “Elastic Block Store -> Volumes” menu item. 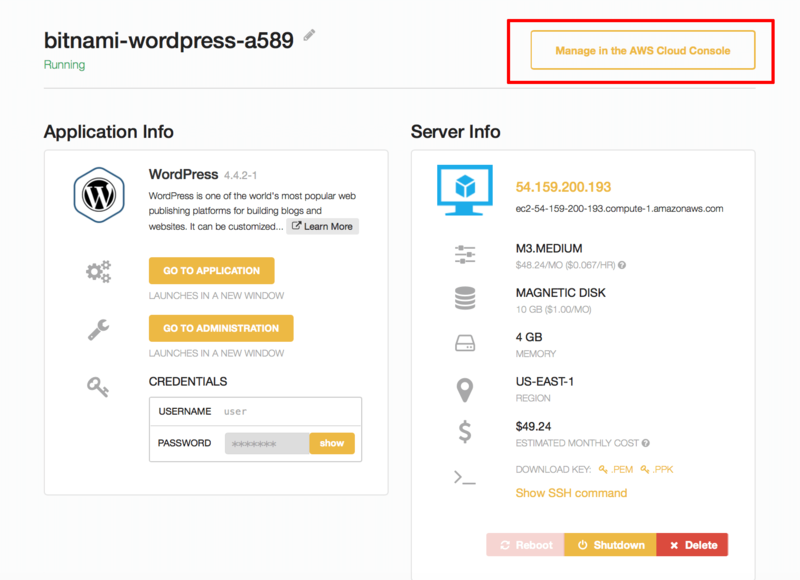 Review the list of volumes and identify the one attached to the server you wish to back up, using the instance ID in the “Attachment Information” column. Note the name of the volume. In the left navigation bar, select the “Elastic Block Store -> Snapshots” menu item. Click the “Create Snapshot” button. In the resulting dialog, enter the volume name you identified earlier. Also, provide a name and description for the snapshot. Click “Create” to create a snapshot of the disk. 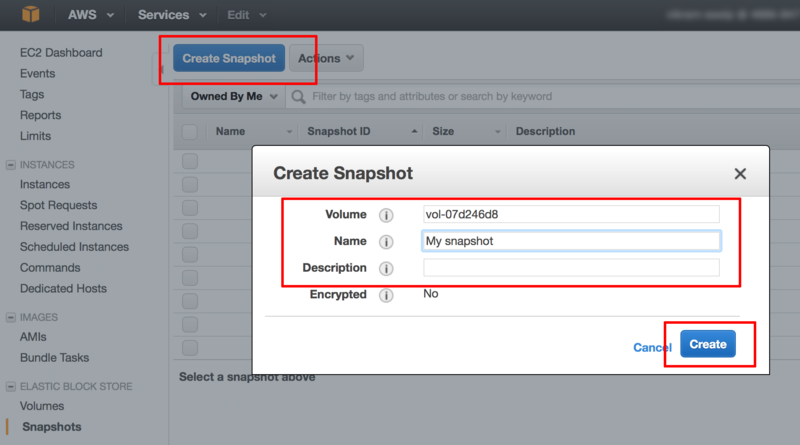 Your new snapshot will be created and will appear in the list of snapshots.